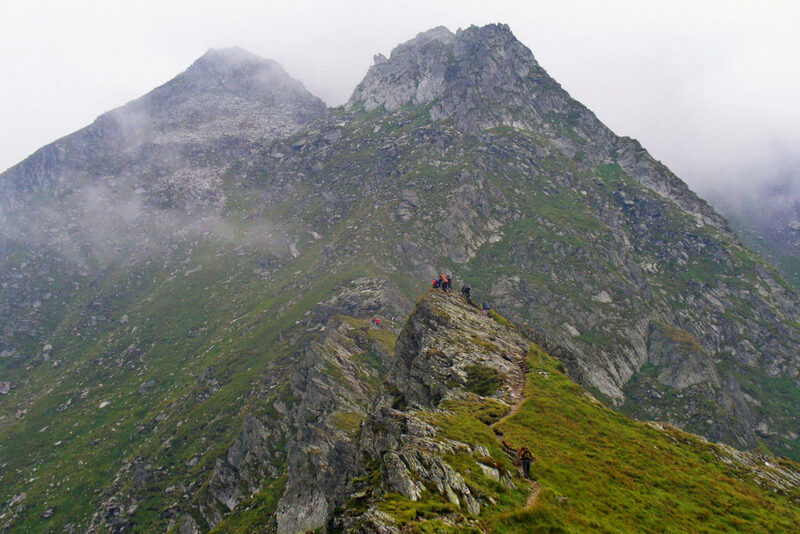 The trek of Fagaras Mountains Ridge is demanding and challenging too, being designed for fit trekkers with the right level of training and experience (mandatory to complete the entire route). Because we are going to spend all nights at mountain huts / chalets, we will have to do our best to complete in time each stage. 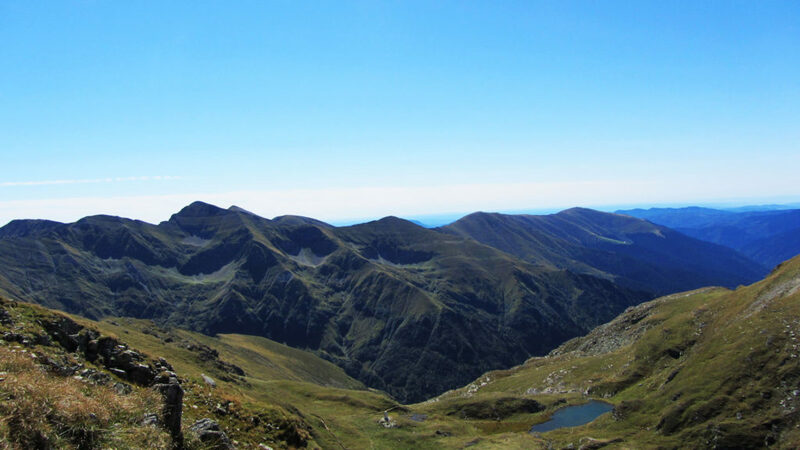 Fagaras Mountains, known as Transylvanian Alps, are the highest mountains within the Romanian Carpathians. 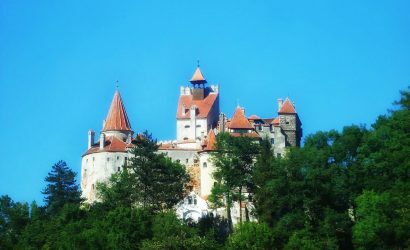 They are oriented East-West and their length is about 70 km. Here you’ll find 8 peaks with elevations over 2500 m, 42 peaks with elevations over 2400 m and other 150 peaks over 2300 m.
This itinerary and the duration of the activities are subject to change due to group abilities and preferences, and weather conditions and forecasts. The cost mentioned (270€) is calculated for a group of 8 persons. This morning, I will meet you at your hotel and take you to Sambata Touristic Complex. From here you will start trekking the trail along Sambata Valley. 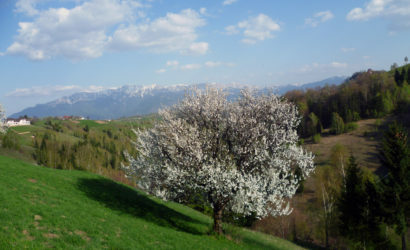 After 2-3 hours we’ll reach the mountain hut where you’ll be spending the night. This is a great opportunity to prepare our equipment and gain some rest ahead of a challenging day tomorrow. 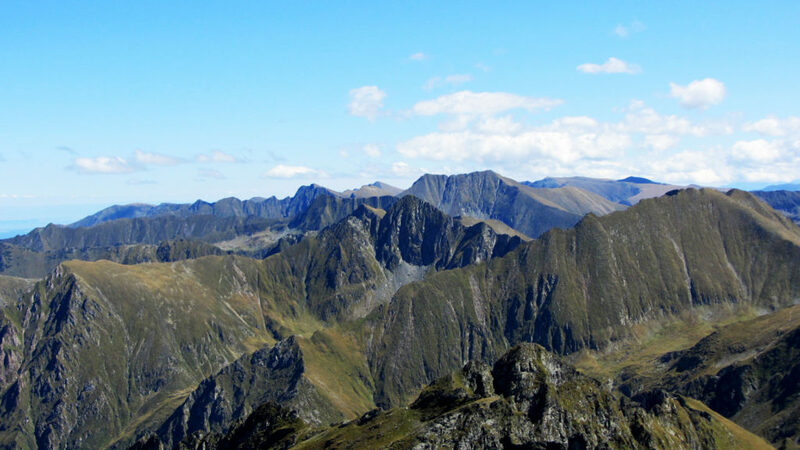 We’ll start early this morning with a steep hike to the ridgeline of Fagaras Mountains near Fereastra Mare a Sambetei (2196m). 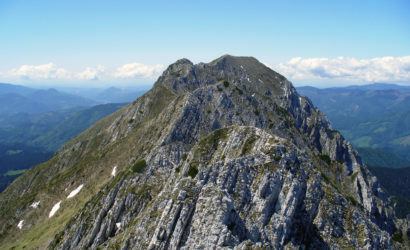 From here, we’ll climb Galasescu Mic (2410m), Galasescu Mare (2470m), and Galbenele (2456m) in succession; stopping for lunch at Portita Vistei (2310m). 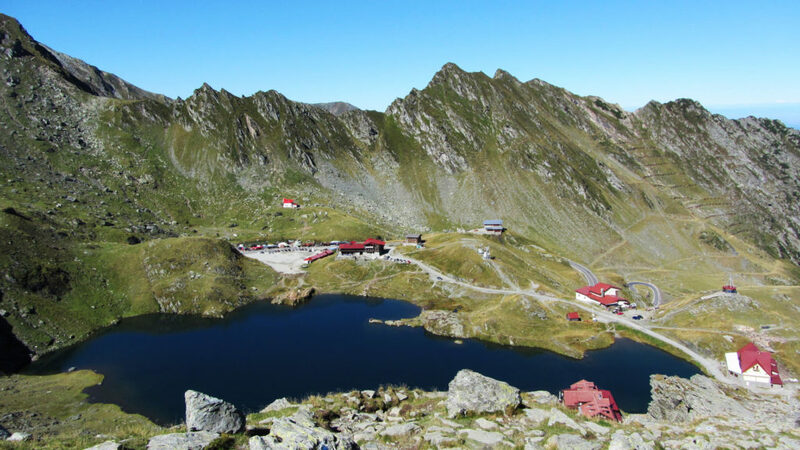 After refuelling, we’ll start the climb to summit two of the three highest summits; Vistea Mare (2527m) and, the highest in the Romanian Carpathians, Moldoveanu (2544m). 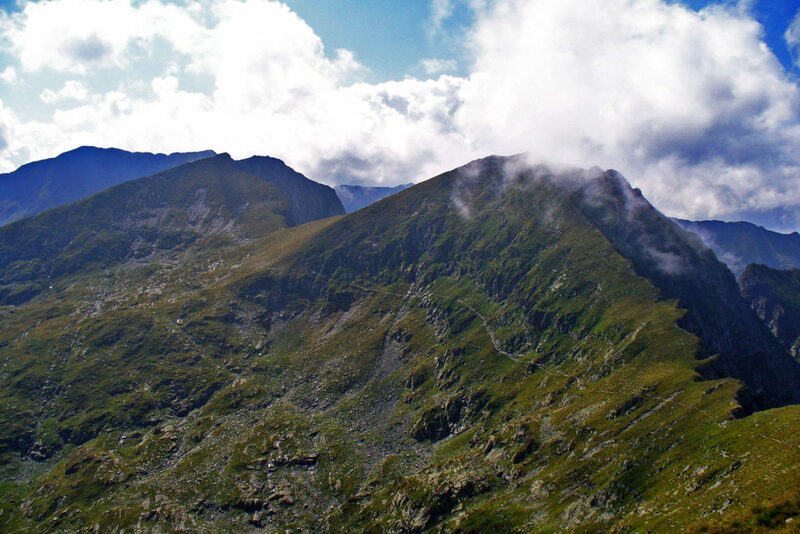 After we achieve the summit, we’ll descend to Podragu mountain hut (2136m) where we’ll spend the night. This is the hardest day, and we’ll have 10-12 hours of trekking to recover from. Today, the hike is long but a little easier; we’ll hike back up to the ridge and continue west. The toughest part of today’s trail will be the area known as ‘3 steps away from death’; here, we’ll cross a cliff with steep valleys on both sides. It’s a challenge, but not as dangerous as it sounds. After 8 hours trekking, we’ll descend to Balea Lake and spend the night in a guesthouse ahead of a big day tomorrow. 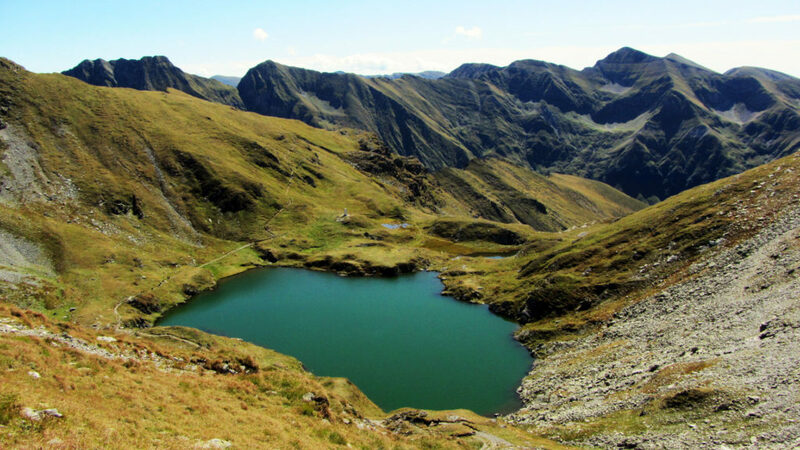 Today is a demanding day but worth every bead of sweat; we’ll hike the route Balea Lake – Capra Saddle – Caltun Lake – Negoiu Peak – Negoiu Chalet. 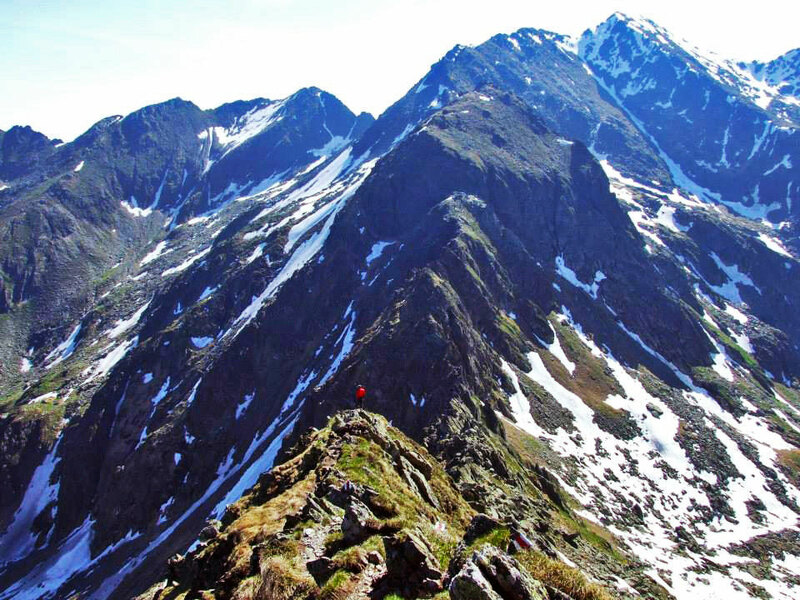 The reward of today will be the summit of Negoiu Peak (2535m), the second highest peak in Romania. 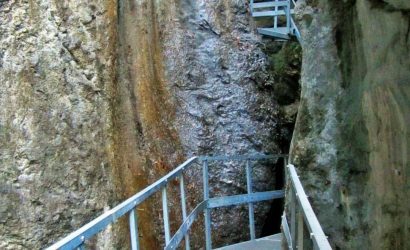 The trail will take us over deep ravines and along high stone walls. After 10 hours trekking, we’ll arrive to spend the night at Negoiu chalet where a much-welcomed sauna and hot water shower will be available. 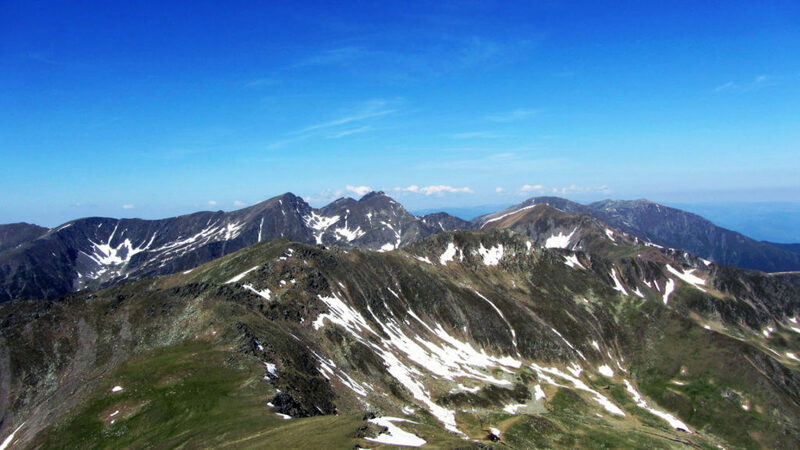 This morning, we’ll return to the ridge and follow the mountainous trail through to Serbota (2331m). From the summit, we’ll negotiate Custura Saratii and make our way to Scara Saddle. This afternoon, we’ll bag a bonus summit, Scara (2422m) before we descend to Barcaciu mountain hut, where we’ll spend the night. Today is the last day at high altitude, and the last time we’ll fight our way to the ridge to meet the main trail near Avrig lake. After 9 hours trekking, we’ll come close to Budislavu and Suru summits, before descending to Suru mountain hut; our last overnight stay of the trip. 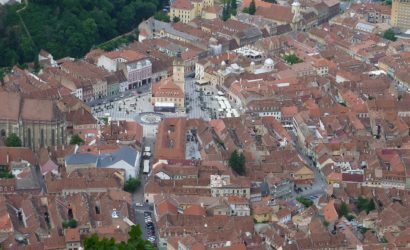 This morning we’ll descend to Sebesu de Sus village where our transfers will be waiting to take us back to Brasov (or other destination) as the final stop of your trip. 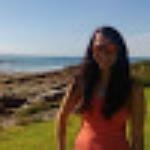 Guiding services provided by a fully qualified international mountain leader/national mountain guide, fluent in English. Rental of trekking poles (very recommended during the trek). 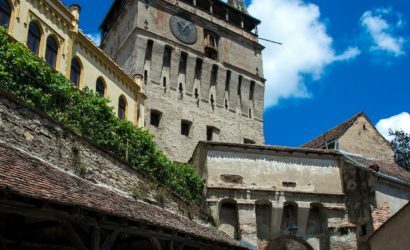 Transfers to the starting point of the trek and from the finish point of the trek (arrangements can be done, in accordance with the size of the group and your overall program). Meals (Basic menus are available at all mountain huts. For lunch packs, it is possible ordering in advance, at huts, sandwiches or we can bring with us what we need).